Buying a good quality rug for your home is a great investment that will last for many years providing it is looked after correctly. One of the advantages of buying a rug as opposed to wall-to-wall carpet is that you can take the rug with you if and when you move house. Cleaning your rug yourself is an option but if you have a hand-woven or an expensive rug it is probably best to leave it in the hands of professionals. Vacuum your rug as required and ensure that you vacuum under the rug as dust and dirt accumulates underneath. Avoid using the beater bar of the vacuum on the fringes as they can easily be pulled loose. Use a broom to dislodge the dirt or depending on the size of the rug, simply take the rug outside and shake it well. There are times when no amount of vacuuming appears to revive your rug; then it is time to have it professionally cleaned. 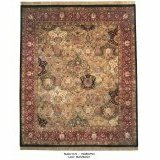 To prolong the life of your rug, purchase rug pads to cushion your rugs and provide a softer base to walk on. 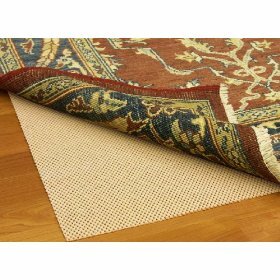 Rug pads also provide a means of preventing the rug from slipping, particularly on hard wood floors.Just following a few basic steps will keep your rug looking pristine.